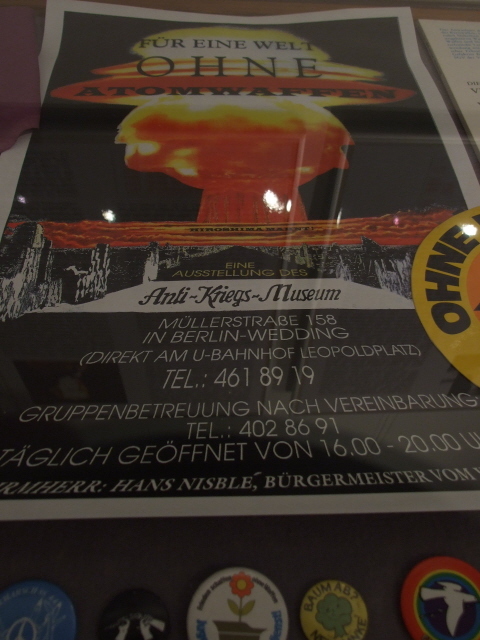 A small private museum in Berlin with a big mission: promoting pacifism and – as the name implies – "fighting" against all war. 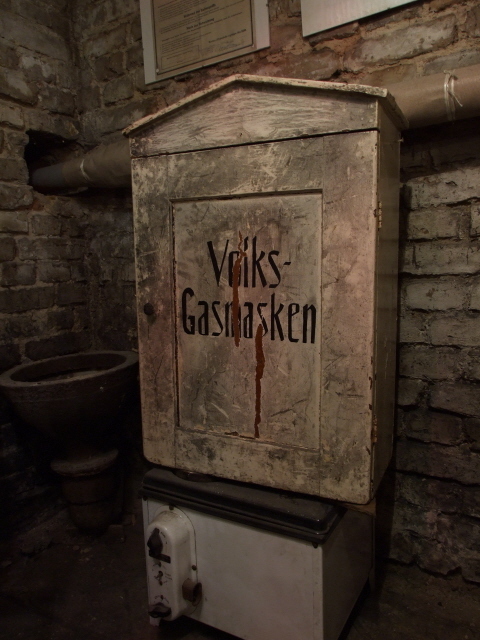 In doing so it also illustrates the gruesome horrors of war quite drastically, and thus it is certainly a rather dark tourism destination as well. More background info: The history of the Anti War Museum is closely linked with the name Ernst Friedrich. He had joined the Labour Youth and the Social Democratic Party in Germany as a very young man and became an ardent activist in the anarchist and pacifist movements even before the First World War. Obviously, this was regarded as scandalous in militarist Prussia in that time. He was imprisoned several times – but persisted in his cause. As one of the leading figures in the Peace Movement after WW1, he published the seminal book "War Against War" in 1924. The following year he opened his "First International Anti-War Museum" in the centre of Berlin, after a donation enabled him to acquire an old building on Parochialstraße to house the museum. After another jail sentence, Friedrich then went into exile in Belgium – after he had already managed to "evacuate" precious archival material abroad. With this he then opened his Second Anti-War Museum in Belgium in 1936. Obviously, this wasn't to last either. 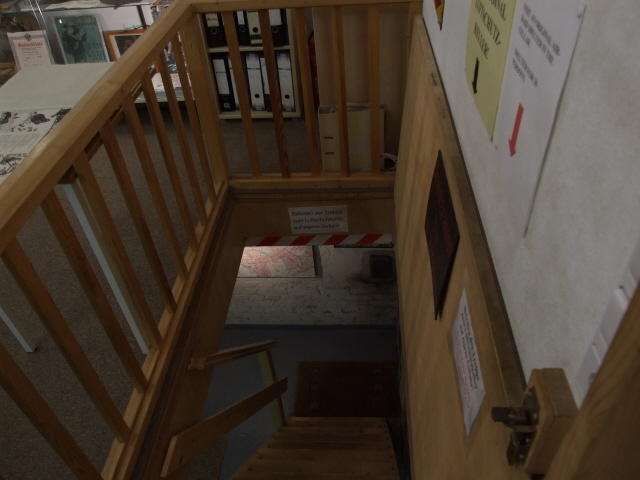 When Germany invaded Belgium in WWII, this second museum too was completely destroyed. Friedrich later joined the Resistance movement in France to fight fascism. He stayed on in that country after the war and acquired French citizenship too. In a third attempt, and with the help of compensation money he received from Germany after the war, Friedrich then opened yet another peace- and reconciliation-promoting centre north of Paris. He died in France in 1967. Fifteen years later Friedrich's grandson Tommy Spree reopened the Anti-War Museum in Berlin – but today's museum is no longer located in the city centre but in a quiet residential area in the district of Wedding, and is housed in a converted former shop and flat. Here, Ernst Friedrich's mission has been continued ever since, with a particular emphasis on education. Volunteers working for free at the museum include teachers and students, and special educational programmes are offered for school groups. But you can also visit it as an individual. I recommend it. 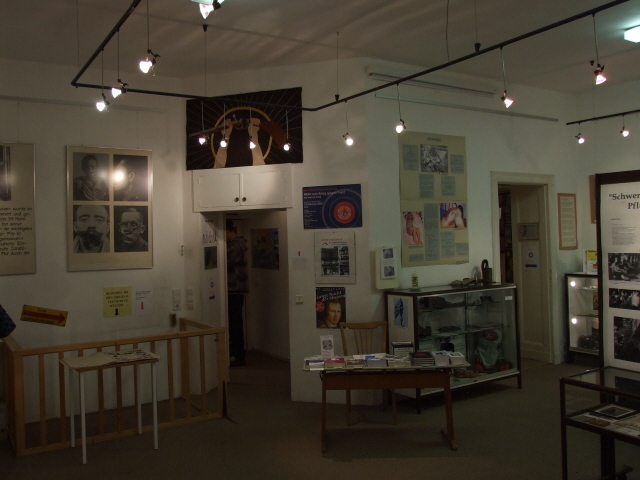 What there is to see: As a small, privately-run 'niche' museum only funded by donations (and the sale of a few publications) it won't come as a surprise that it isn't exactly hi-tech. On the contrary, much of it appears a bit improvised and old-fashioned. But that does not detract much from the impact it manages to make. 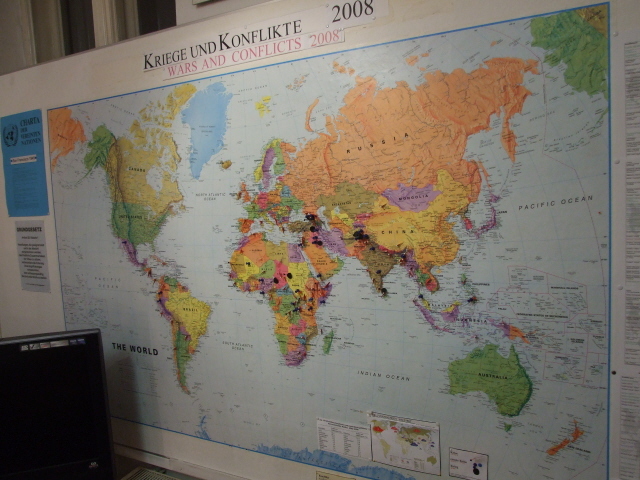 In the main front room, there is a map of the world with pins indicating current wars and conflict areas (although the map wasn't fully up to date when I visited). 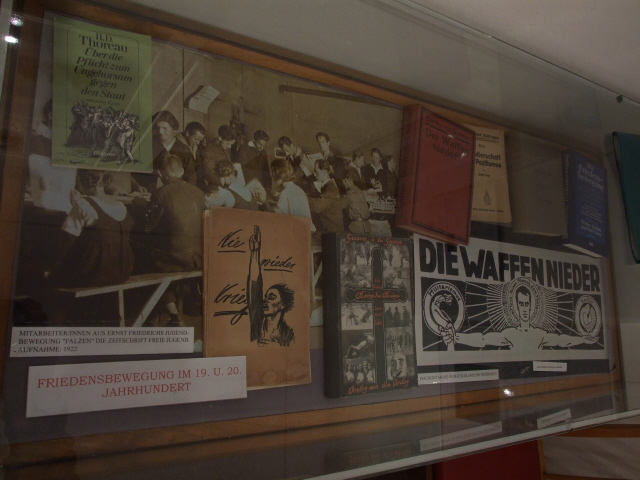 A glass display case contains historic documents and early publications of the Peace Movement of the 19th and 20th centuries. Some smaller items of war machinery are on display too. 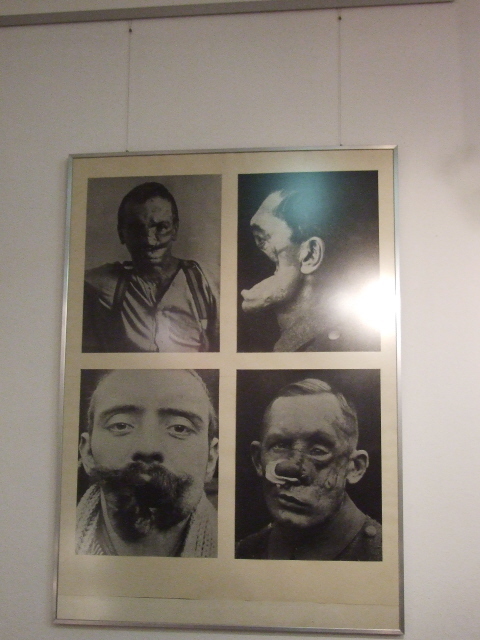 More disturbing, however, are the photographs of horrendous mutilations soldiers suffered in World War One – images that Ernst Friedrich used in his legendary "War against War" publication of the 1920s. Later wars are covered too, not just WWII, also later, more "modern" wars, such as the Vietnam War – not to mention the Cold War, of course. The issues of nuclear arms as well as chemical and biological weapons are raised. 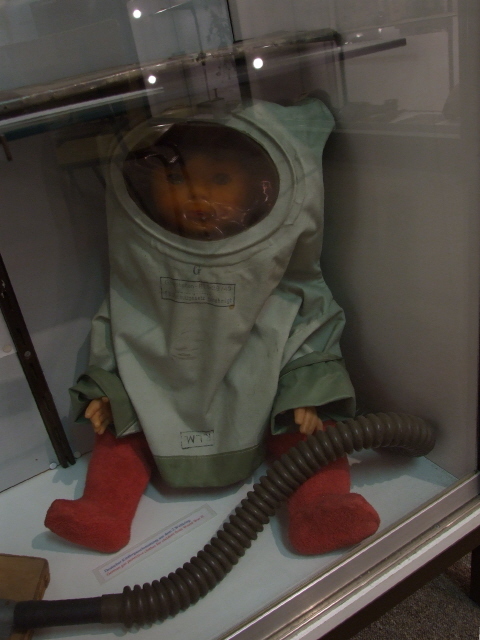 In the latter context the exhibit of a doll wearing a baby-sized whole-body protective suit is especially poignant here. 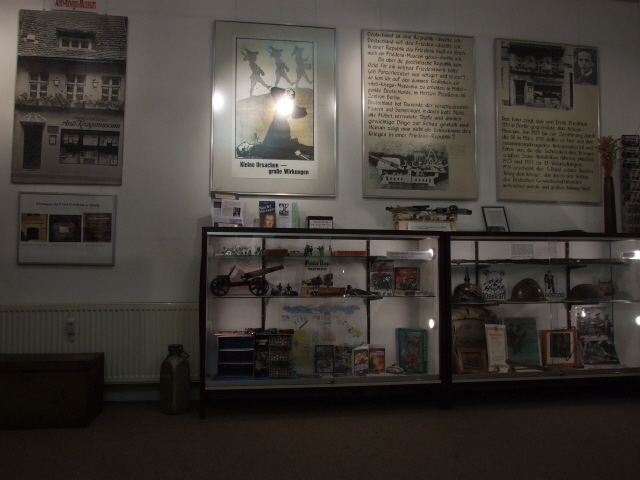 On one wall there is a large display cabinet full of toys – model cannons, tin soldiers, war games, even modern video and computer games. The caption on the glass panel simply asks: "Are these really toys?" Well, yes, they are, you can't deny that. The real pedagogical question is probably rather: should these things be given to children as toys? The tacit assumption underlying this question is clearly that war games/toys stand in the way of bringing up kids to become peace-loving and non-militant adults. Well maybe – but I have my doubts about the assumptions about such a necessarily direct link. I can adduce my own case as a counter example of sorts. 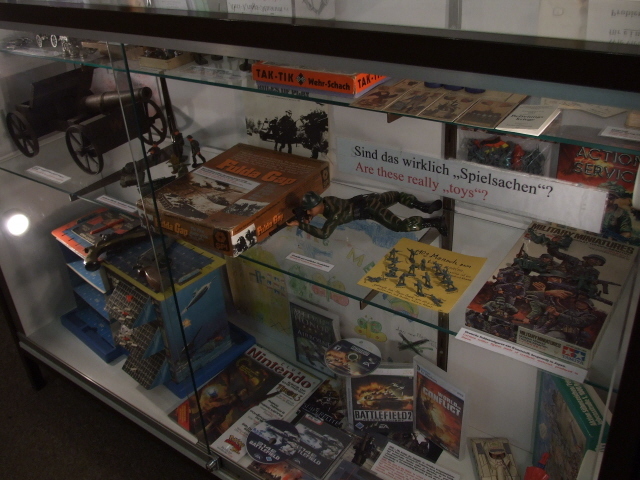 I certainly played with toy soldiers, model fighter jets and the like when I was a kid, just like my peers. Still, it didn't make me a militant person or do me any noticeable psychological harm. On the contrary. As an adult I even became a certified conscientious objector to military service (i.e. I won a lawsuit against my home country of Germany and did not have to serve in the German army). I therefore think that the readily made assumption that childhood war games necessarily breed warmongers in adulthood is questionable. No such questions about the cabinet displaying landmines, though. These are without any doubt plain evil. 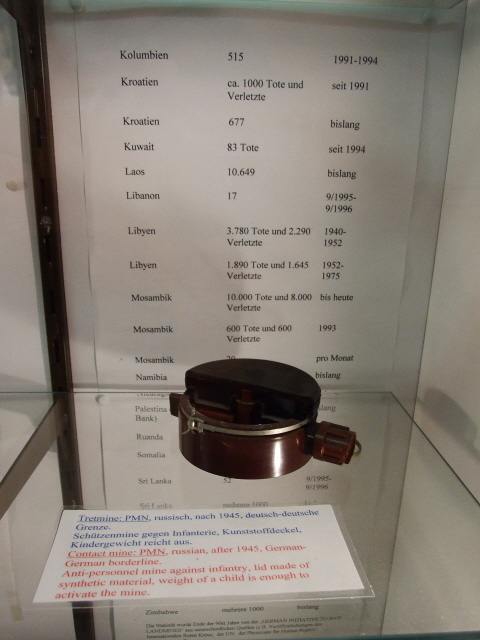 Also displayed is a long list of countries with the respective numbers of civilian casualties that these despicable "weapons" have caused – and in too many cases still continue to cause today (see e.g. Cambodia or Vietnam). 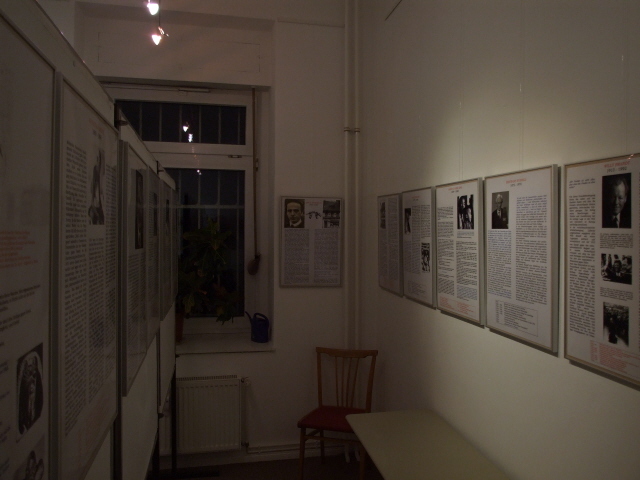 In a back room there are various posters of former temporary exhibitions, as well as text panels about prominent historical figures associated with peace activism, such as Bertrand Russell, Albert Einstein, Mahatma Gandhi, and the museum's founder Ernst Friedrich himself. Unfortunately, though, all these texts are in German only. 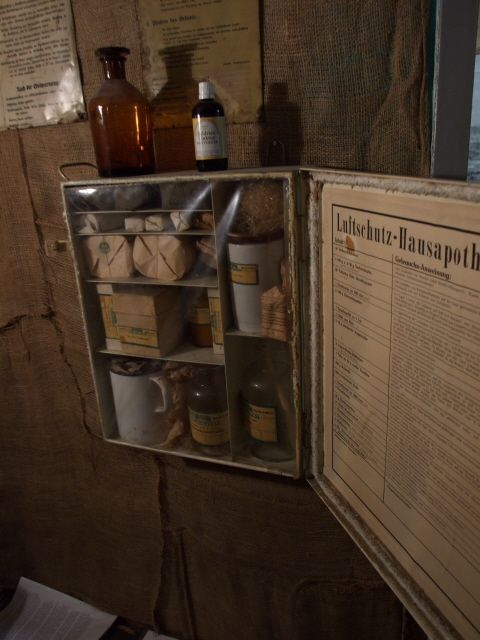 In contrast, the rest of the museum features at least some English-language labelling, though not consistently either. So you might need help from the museum assistant on duty in understanding some of the material (I presume they should be able to help out at least in English). 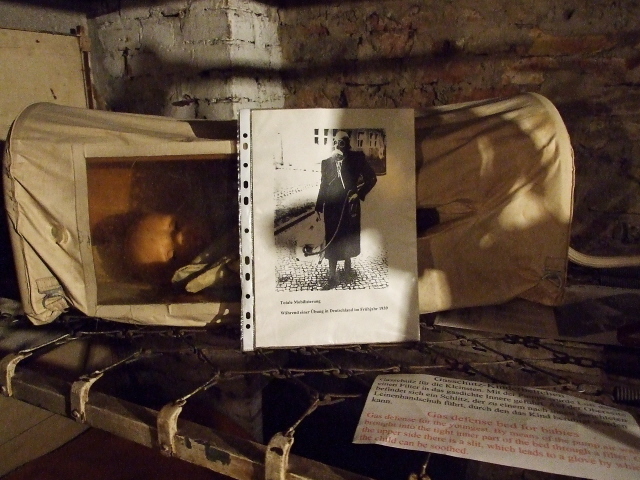 Another peculiar and drastic exhibit to be seen here is a baby carrier bag, which, completely sealed, and with a transparent "window" would have acted as a full-body gas mask. Creepy. 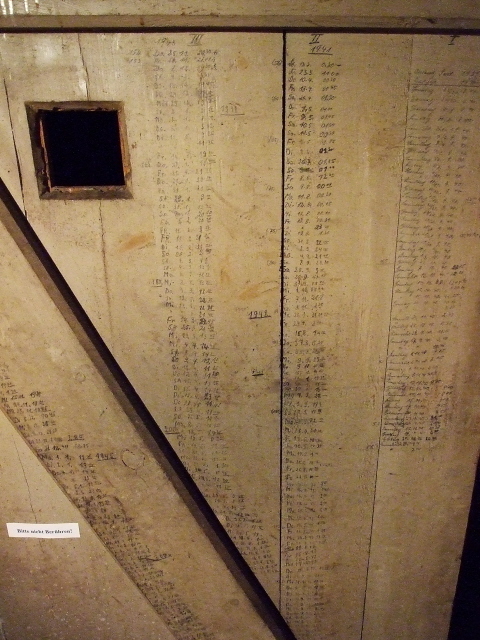 Also scary is a map of Berlin on the wall at the bottom of the stairs leading down to the basement: concentric circles are labelled with information about what degree of damage a hydrogen bomb detonated over the centre of the city would have had in the respective zones. If you've been to the respective memorial museums in Hiroshima and Nagasaki and remember that these cities were destroyed by significantly lower-yield atomic bombs, just looking at this chart sends a chill down your spine. Overall, however, the museum's aim isn't so much to shock as to educate. To that end there's also a small stall with brochures and books for sale. This includes Ernst Friedrich's seminal book "War against War", in a version in four languages (German, English, French and Dutch). If you don't already own it, buying it here is almost an act of duty. It only costs a pittance. Adjacent to the museum is also a "Peace Gallery" with regularly changing temporary exhibitions. Location: at 21 Brüsseler Straße in the district of Wedding to the north of the centre of Berlin. Access and costs: a bit off the beaten track, but not difficult to find; free. Details: Today's location of the Anti-War Museum may not be as bang in the centre of Berlin as the original one was, but it's not too much of a hassle to get there. There are a number of metro and bus stops within fairly easy walking distance. The closest is Amrumer Straße (Line U9 – which connects with the West Berlin hub of Bahnhof Zoo and Kurfürstendamm). From there you need to walk up the street of the same name in a north-west-bound direction for ca. 500 yards and then turn right into Brüsseler Straße and walk another block or so. Alternatively you can use the metro stop Seestraße (Line U6 – which connects to Friedrichstraße and the eastern parts of central Berlin) and walk down Müllerstraße half a block in a south-easterly direction and turn right into Brüsseler Straße at its other end. Bus No. 221 gets you slightly closer to the museum – get on e.g. at Leopoldsplatz (U6/U9 metro) and get out at Amrumer Straße/Seestraße (by the Sugar Museum – see below under combinations) and walk back down Amrumer Straße half a block and turn left into Brüsseler Straße. Time required: Depends on how good your German is or on how much help you can get from a museum assistant in explaining things. Just relying on the English labelling and texts, you probably need less than half an hour. But they are keen to engage visitors in conversations as well here, so you may want to factor that in. I found it a valuable extra 20 minutes or so spent. Combinations with other dark destinations: in general see under Berlin – the building at Parochialstraße that the original Anti-War Museum used to be housed in has disappeared; but the site where it stood is now (since 2002) marked by a commemorative plaque on the wall of the present building, flanked by two steel helmets hanging upside down on chains and serving as flower pots (just how it used to be at the original museum). Parochialstraße is just to the south of Alexanderplatz and east of the historic Nikolaiviertel quarter in Berlin's central Mitte district. The nearest metro station is Klosterstraße (Line U2), which is just round the corner. Somewhat closer to the present location of the Anti-War Museum is the Plötzensee memorial site, which you can reach by taking bus 106, which runs on Seestraße, parallel to Brüsseler Straße, and get off at Beusselstraße, and continue either on foot or take bus line 123 for one stop. Directly by the Anti-War Museum, in a little green patch on the next corner, stands a statue that recalls the famous logo of two arms breaking a rifle into two, as devised by Ernst Friedrich, which has become a symbol of the Peace Movement worldwide. 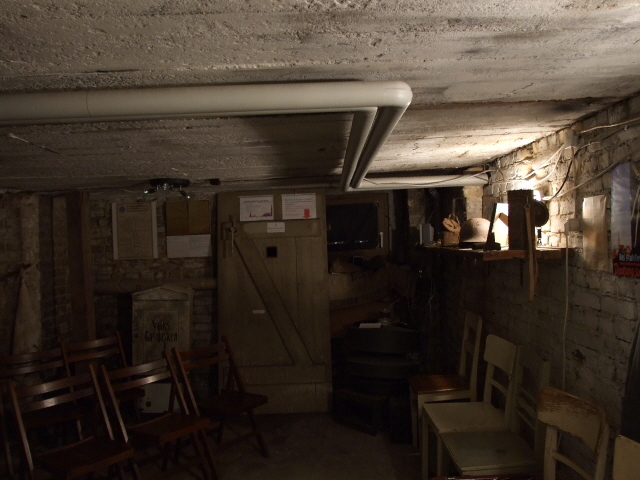 Combinations with non-dark destinations: see under Berlin – the residential area in which the museum is located is not touristy at all.